If you require a legally admissible DNA paternity test, our laboratory specializes in providing the highest quality DNA paternity testing documents for court use. Our laboratory is ISO17025 accredited and accredited by the AABB, ensuring the highest quality testing and court admissibility in most countries worldwide. Our laboratory also participates in the Parentage Testing Proficiency program of the CAP. A legal DNA paternity test provides solid proof of paternity or non-paternity for use in a court of law. For legal testing, our laboratory follows strict requirements to ensure a strict chain of custody. We have a network of over 3000 DNA test collection locations worldwide, with over 1,000 locations in the United States. It doesn't matter which city you live in, we will be able to arrange an appointment for you in a location which is convenient for you to attend an appointment. All results for legal testing are released as legal documents for use in a court of law. Compliance with internationally recognized standards for parentage testing. Over 3000 DNA collection sites to ensure ease of access for all test participants. The easiest and most streamlined procedures for testing. We will take care of every step of the process from beginning to end. We will arrange the appointments for you and take care of you every step of the way. Affordable pricing with the highest quality results. Fast and accurate results. Results are available in 3 to 5 business days. Toll free technical support line for immediate assistance when you have questions. Our laboratory guarantees full chain of custody during every step of the process and exceeds court requirements. Our testing facility is accredited by the AABB and is ISO 17025 accredited for legal testing and results are admissible in most courts of law in most countries. Our laboratory ensures strict adherence to standards which exceed court requirements to ensure streamlined court proceedings. Expert testimony is also available when required. Because some states may be different in their requirements, we recommend that you check with your state for regulations for your particular situation. If you do not require the results for court, you can read about our private DNA paternity testing services. Request the legal test online or by calling our laboratory at 1-866-708-2128. After submitting the legal test requisition to us, we will contact you immediately to schedule an appointment for you for specimen collection in your area. It does not matter if different parties dl live in different states, we will be able to schedule separate appointments for different parties involved in the test. On the day of the appointment, please bring photograph ID with you to your appointment (e.g. driver's license, passport, etc.). For young children, who may not have photograph IDs, please bring the birth certificate or another form of official identification. 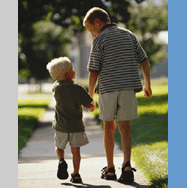 Children under the age of 18 must be accompanies by their legal guardian. If you have any questions, please contact our laboratory at 1-866-708-2128. The appointment is approximately 30 minutes in duration. At the time of the appointment, a buccal swab sample will be collected and the identification will be verified. Immediately after specimen collection, the samples are sent directly to the laboratory for processing. Results are available in 3 to 5 business days. You may check on the progress of your test by calling our laboratory at 1-866-708-2128.